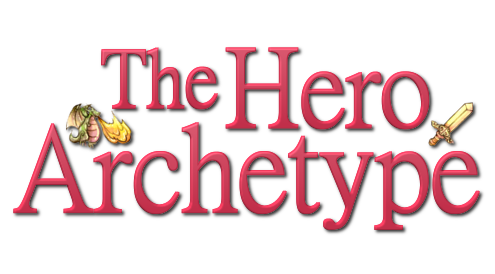 The Hero Archetype: Video game technology. Part 2 of 3: The HD Experience. Video game technology. Part 2 of 3: The HD Experience. One of the most recent advances in entertainment technology has been the switch from standard resolution to High Definition. The change has affected not only displays but also the complexity of the media produced. Most TV shows, movies and video games are now made in this format. The capacity to offer higher resolution images even became a powerful weapon in the last version of the console wars. The technology has been so well received by the public that Ultra HD displays are already being sold and media producers are spending time and money to make more content available in this resolution. But putting the public demands aside, is High Definition really capable of improving the user experience? Does it have more complex effects than just making things looks prettier? First let’s analyze what High Definition is and what it can (probably) do. Image resolution indicates the number of pixels (or squares) available to build an image. The higher the resolution, the more details an image can have. This could make the content easier to identify and more interesting, increasing the attention of the user. The type of attribute being noticed could also affect different aspects of the experience. 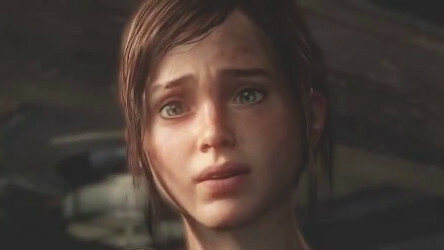 More defined borders, better lighting and smoother movements, for example, could make the objects, characters and environments look more realistic. On the other hand, if the content affected is emotionally relevant (like the facial expressions of a character in a movie or the position of the enemies in a first person shooter), it could make the user more involved. The reason we focus on this variables is because they seem to be strongly related with spatial presence (the feeling of being inside the content) and immersion. A higher level of attention towards the content usually implies a reduction in the importance given to external stimuli. This can gradually make the user less aware of the technology providing the experience and, eventually, make him or her feel like they are part of the content. Additionally, engagement, perceived realism and involvement are frequently included in questionnaires designed to measure immersion. Also, both spatial presence and immersion play a central role in the studies about High Definition we were able to find. 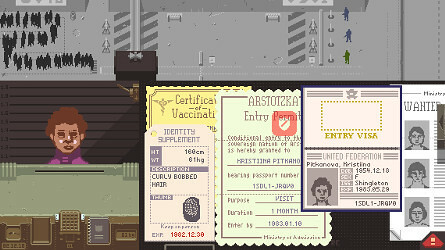 "Papers, Please" was able to provoke strong emotional responses using only a couple of pixels. Let’s begin with two experiments about the effects of resolution on viewer’s experience. In 2005, a group of participants watching a short documentary in HD (1080 lines of resolution) perceived the sensorial stimuli as more believable and identified non-verbal behavior more easily than those who saw it on NTSC (with only 480 lines) (Bracken, 2005). The next year researchers asked the same thing to another group of individuals, but they showed a newscast instead of a documentary. Interestingly, this time HD didn’t make the content look more realistic (Bracken, 2006). However, it’s effect on perception of non-verbal behavior remained (Bracken, 2006). One explanation could be that documentaries tend to show slow paced scenes and smooth transitions, leaving the viewer enough time to appreciate the details designed to increase realism. Newscast, on the other hand, tend to use shorter clips and fast paced transitions with the intention to capture the viewer’s attention as soon as possible, reducing their chances to notice some of this features. High Definition also made the news anchors look more dynamic, qualified and trustworthy (Bracken, 2006). As we previously stated, it’s possible that improved image quality made specific details more noticeable for the audience. In this case, relatively stable attributes intended to increase the anchor’s believability (like their clothing, facial expressions and hand gestures). In any case, results suggest that increased image resolution can make details intended to promote realism and communicate non-verbal behavior easier to identify. Participants who saw the documentary on HD showed higher levels of self-reported spatial presence (Bracken, 2005). This is consistent with the idea that improved image quality can increase the user’s levels of attention, which eventually can lead him or her to forget about the mediating technology. However, watching the documentary in HD didn’t make the viewers feel more immersed (Bracken, 2005). In order to explain this we should point out that the mentioned study measured immersion by asking participants how engaged and involved they felt, as well as how realistic the content seemed to them. As we have seen, image quality was able to increase both realism and (probably) engagement. However, involvement is a different issue. For a user to feel involved, he or she must find the content important. One way to achieve this is through emotionally relevant stimuli, like a sad story on the news, seeing a character we care about suffer in a movie or playing the last level of video game with only one life left. While increased image quality could have made this type of content more noticeable, chances are it wasn’t present in the video used by the experimenters: A short, dialogue-free documentary showing scenes of everyday life in japan. So, while the enhanced images could have increased both engagement and realism, there was no reason for involvement to do so; reducing the probability of self-reported immersion to experience a significant change. Nevertheless, when the visual stimuli was a newscast (a type of content that tends to be designed to provoke an emotional response), watching it on HD did manage to increase the level of immersion experienced by the viewers (Bracken, 2006). So, maybe high definition can make emotionally relevant content (if available) easier to identify, increasing involvement and, therefore, immersion. Is high definition making emotional content like facial expressions easier to identify? The previous studies suggest that increasing resolution in a video can provoke a significant effect on the viewer’s experience. But what would happen in the case of video games, were the interaction between player and virtual environment opens the possibility for much stronger psychological effects? To answer this question Skalski, Whitbred and Lindmark (2009) asked a group of undergraduate students to play Tom Clancy’s Ghost Recon: Advanced Warfighter for the Xbox 360 on HD (1080 lines) or standard definition (480 lines). Results showed that improved resolution didn’t make sensorial stimuli feel more realistic or in-game events seem more possible to occur in real life (Skalski, et al. 2009). It didn’t increased enjoyment either (Skalski, et al.). One explanation could be that increasing resolution wasn’t enough to make the features designed to increase realism (like particles flying around or precise animations showing enemies falling to the ground) more noticeable. Additionally, it’s possible that perceived realism plays a more important role in the experience of games that try to depict real-life events (in this case, a soldier in the battlefield). So, maybe the inability for resolution to increase realism was in part what prevented enjoyment to improve. Participants playing Tom Clancy’s Ghost Recon: Advanced Warfighter for the Xbox 360 on HD didn’t show higher self-reported engagement or spatial presence than those who played it on NTSC (Skalski, Whitbred and Lindmark, 2009). This suggest that the increase in resolution didn’t make the content significantly more interesting. The result is also congruent with the idea that increased levels of attention are required for the experience of non-mediation (forgetting that what we are perceiving is coming from technology and not reality) to occur. In a similar experiment, subjects playing Perfect Dark Zero for the Xbox on HD didn’t experienced more spatial presence either (Bracken & Skalski, 2009). Evidence from both studies seem to indicate that the relationship between image resolution and the feeling of being inside a first person shooter is surprisingly weak. 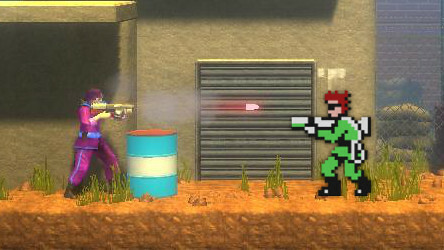 Still, experiments with other types of games could show different results. HD can surely increase the sense of presence in first person shooters, right? Think again. 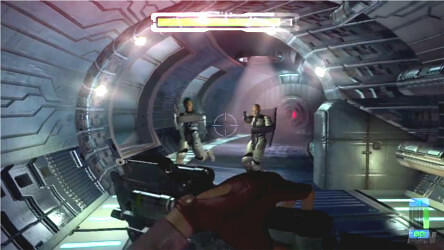 The study using Perfect Dark Zero had the advantage of measuring self-reported immersion, finding higher levels for the group that played the game in HD (Bracken & Skalski, 2009). Maybe increased resolution made easier for the HD group to identify in-game objects like pick-ups or enemies. This would have made the players more worried about both rewards and mistakes, increasing their involvement and, eventually, making them feel more immersed. Resolution has been an important aspect of technological purchases for fans of TV shows, movies and video games. They want to see their media with the best image quality available. And while most of them are convinced that their experience as users has improved, it’s most likely that the effects of image resolution go far beyond just making things looks pretty. They involve complex and strong psychological effects. Still, additional studies are necessary to better understand this relationship. And while there aren’t much papers on the effects of High Definition, the development of new visual technologies like Ultra High Definition and Virtual Reality will probably recapture the attention of scientists interested in how to improve the user experience. Thanks for reading! Visit us in two weeks for the final part of our series on Video Game Technology, when we analyze the effects of sounds and music in the player’s experience.